Don't you hate it when you spend hours making something you're not even going to use? Well, I don't hate these panniers, but they're going to be sitting in my closet for a long time. 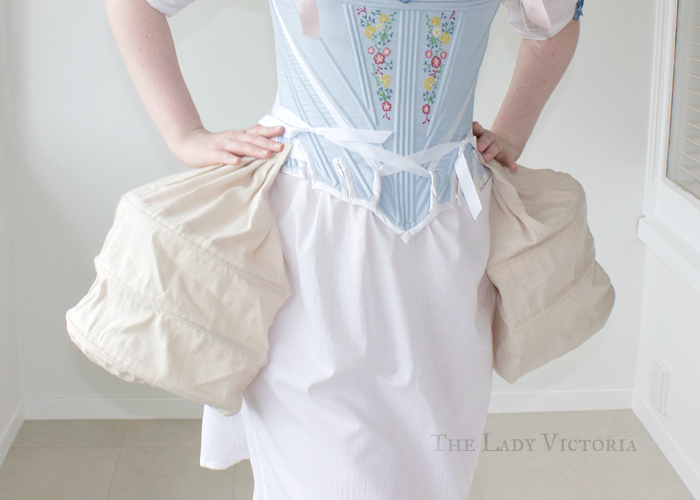 Before I really knew what style dress I was going to make, I decided that I needed panniers. One major reason was that they seemed to be a staple undergarment for most of the 1700's, and they seemed really fun to make. 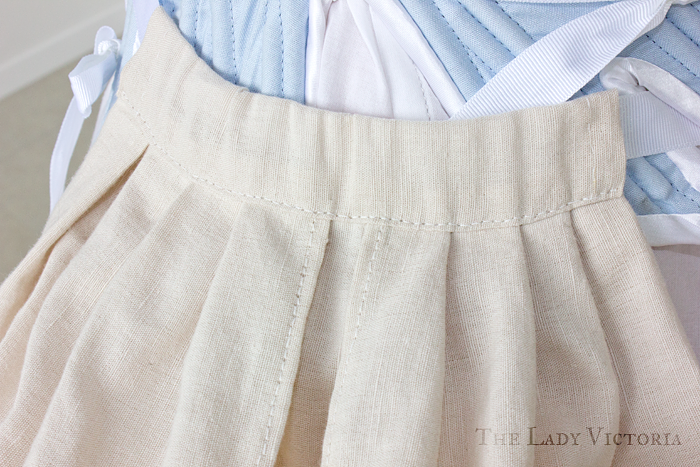 After doing more research, I decided a bumroll was going to work best with the robe à l'Anglaise retroussée that I wanted to make. 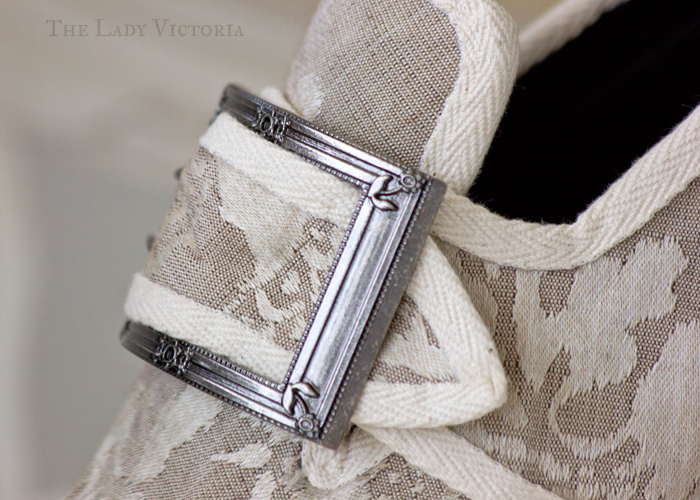 I fretted over this for quite a while, as my skirt supports would influence the way all my petticoats would be made. 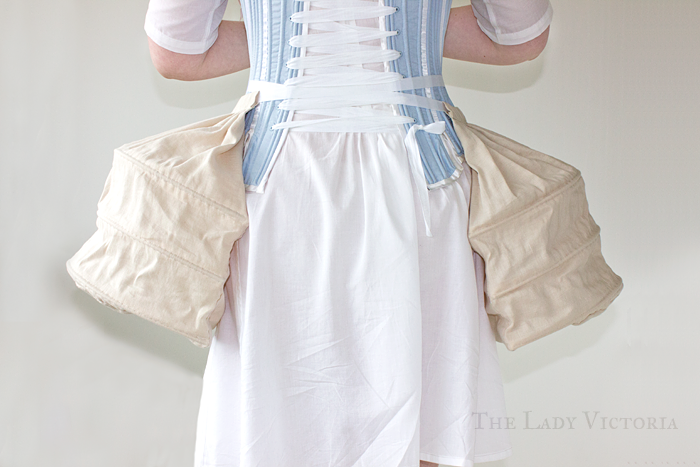 I followed The Dreamstress's amazing Pannier-Along and hand sewed everything. This was the first thing I'd sewn entirely by hand, which was a small achievement for me. I picked up some lovely oatmeal coloured cotton that looked very pannier-esque. When I got around to adding the reed, however, I realized that the weave was far too loose and was prone to warping. Lesson learnt. Luckily everything held in place, and I added some extra reinforcement in places where the reeds could poke through. The reed was ordered off Fishpond.co.nz of all places. They were the only New Zealand supplier that I could find who had basket weaving supplies, and the price worked out about the same as shipping it from American based stores. I'm pleased with how they've turned out, and they give a very nice shape that requires me to walk sideways through doors. Now I just need to make a dress to fit them! Hello there! I didn't do anything special to treat the reed for my panniers. My reed came very neatly coiled, so it was already the right curved shape for what I needed. 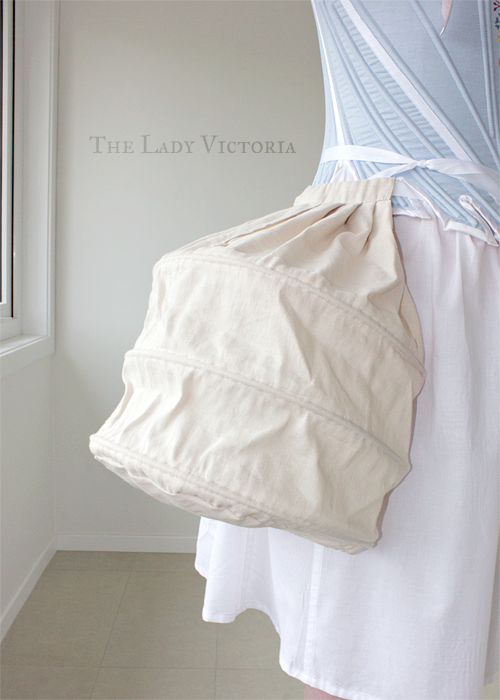 When I made my stays, however, I used the steam from a normal household iron to straighten them out. Cane is definitely easy to mold to whatever shape you need, just using steam or by soaking them in water. After that the only things I did were sand the ends smooth and rub wax over them to make it easier to insert them into the channels. As far as I know there's no super special treatment you need, and reed is very flexible and sturdy on it's own. I hope this helped! I'd definitely recommend cane as a (quite fun to use) substitute.